The atomic bombings of Hiroshima and Nagasaki were nuclear attacks on the Empire of Japan during World War II (WWII). The United States and the Allies were fighting against Japan and slowly winning. Two nuclear weapons were dropped on Japan, one on the city of Hiroshima and the other on the city of Nagasaki (the generals wanted to bomb Kokura instead of Nagasaki, but it was too cloudy over Kokura that day). U.S. President Harry S. Truman ordered these attacks on August 6 and 9, 1945. This was near the end of WWII. The atomic bombs had been created through the Manhattan Project. Nuclear bombs are much more powerful than other kinds of bombs. 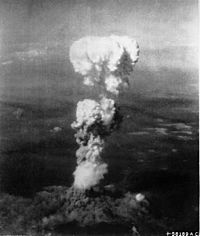 At least 66,000 people were killed in Hiroshima, while 39,000 were killed in Nagasaki, totaling the deaths to 105,000. Six days after the explosion over Nagasaki, Japan surrendered to the Allied Powers on August 15. Japan signed the surrender paper on September 2. This officially ended the Pacific War and World War II. Hiroshima and Nagasaki were chosen for several reasons. First, both cities were unsuitable for firebombing targets, mainly due to the river deltas preventing the firestorms from being very effective. Second, both cities had terrains which provided a good measurement for damage caused by the nuclear bombs. Third and finally, both cities contained strategic personnel and installations; Hiroshima was the headquarters of the 2nd General Army and 5th Division with 40,000 Japanese combatants stationed within the city's limit, and Nagasaki contained two large Mitsubishi armament factories and many other medium-to-small workshops and plants providing vital war components for Japan's war machine. In both cities, as with other Japanese cities, these targets were mixed in with civilian homes, schools, and temples. For example, at least 54% of the deaths in Hiroshima were combatants and slave laborers while 72% of the deaths in Nagasaki were war industry employees and slave laborers. 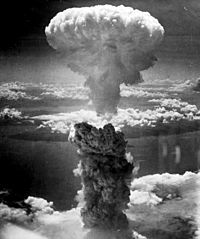 The vast majority of the people say that the atomic bombs actually saved many lives in the long run because it prevented the invasion of Japan. 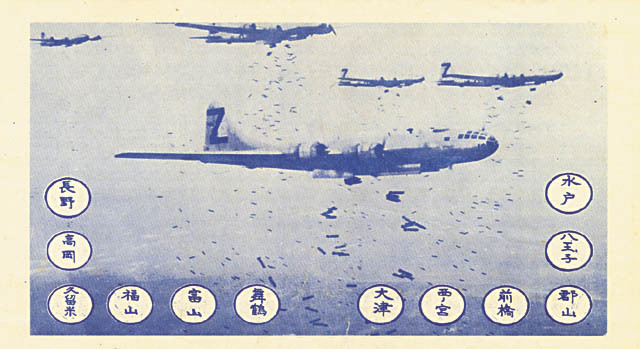 Without the bombs, the Allies would have had to invade Japan to end the war, which would drag out for years. More people would have been killed on both sides in a full battle in Japan. Allied generals believed that an invasion of Japan would have killed more than a million people on each side. Some say that the bombings were not necessary. People still argue about this. No nuclear weapon has ever been used in combat since August 9, 1945. The decision to use nuclear weapons on Japan was made after an analysis showed that more than a million people -- combatants of both nations and civilians -- would die if Japan was invaded by Allied forces. The nuclear bombings, while shocking and unprecedented, actually paled in comparison with the Operation Meetinghouse firebombing of Tokyo on March 9/10, 1945, which killed 100,000 civilians and destroyed 16 square miles in a single night. Had not for the nuclear weapons, the U.S. would have resorted to firebombing Hiroshima and Nagasaki which would have caused equal amount of damage, but did not produce the shock value that nuclear weapons have. In addition, doing nothing or waiting it out for surrender was not an option because hundreds of thousands of combatants, civilians, and prisoners of war were dying each month in Japanese-occupied lands. Atomic bombings of Hiroshima and Nagasaki Facts for Kids. Kiddle Encyclopedia.